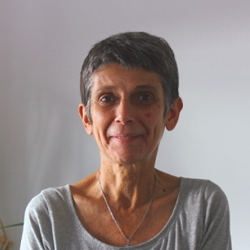 Catherine Dom has over 20 years’ consultancy and research experience. As a consultant she specialises in public sector resource management and sector and thematic policy development. She has focused on aid management, public finance, decentralisation and education, at both country and cross-country policy level. Catherine has provided services to donor agencies and recipient governments ranging from policy, planning and budgeting advice to programme design, design of aid instruments and advice on aid management. Catherine has extensive experience conducting reviews and evaluations, and has been involved in multi-country evaluations and country and sector specific assignments. Catherine’s recent work has also included a focus on ‘fragile states’ (in particular, she is engaged in an innovative programme of support to PFM reforms in fragile contexts), governance and food security. Catherine is currently involved in research of long-term change trajectories at village level. Her recent work has focused on South Sudan, Ethiopia and DR Congo.